Hi there! 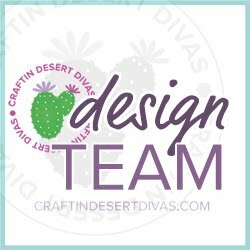 I am back with a mother look at the new Craftin Desert Divas February Release! 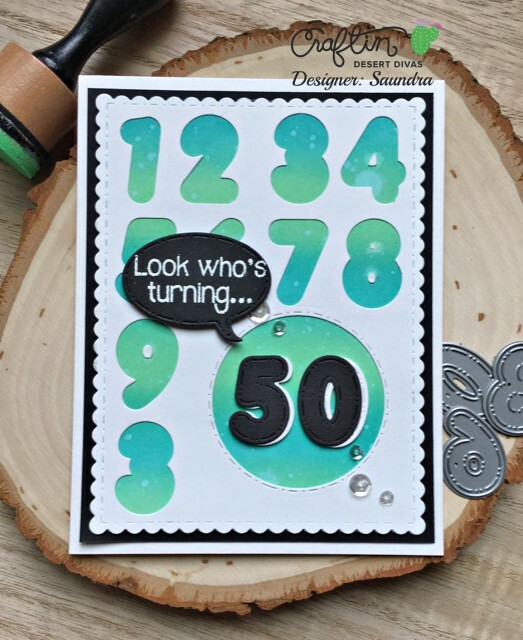 Today I am showcasing the new Stitched Number Dies. This card was super fast and easy to put together! And, BONUS! It can be used for a guy or girl!! First I cut a panel with CDD Fancy Frames Dies. I arranged the new Stitched Number Dies on my panel and ran that through my Big Shot. I had to do several passes to get all of the numbers I wanted. Be sure to save the little inner pieces so that you can add them to your card later. 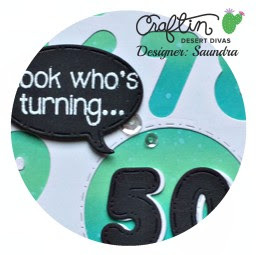 Before I ran all of my numbers through my Big Shot I cut a circle from my panel with the CDD Inside Scalloped Circle Dies to create a window for my number 50. I took another panel and inked it up with some Distress Oxide Inks in Peacock Feathers and Cracked Pistachio. I love this color combo!! I began layering everything together. This is where you will want to add the little inside pieces to your numbers. I cut the number 50 out the the Stitched Number Dies a few times on white and once in black cardstock. I layered these on top of one another, off-setting the black numbers a bit. I then added them to my card. 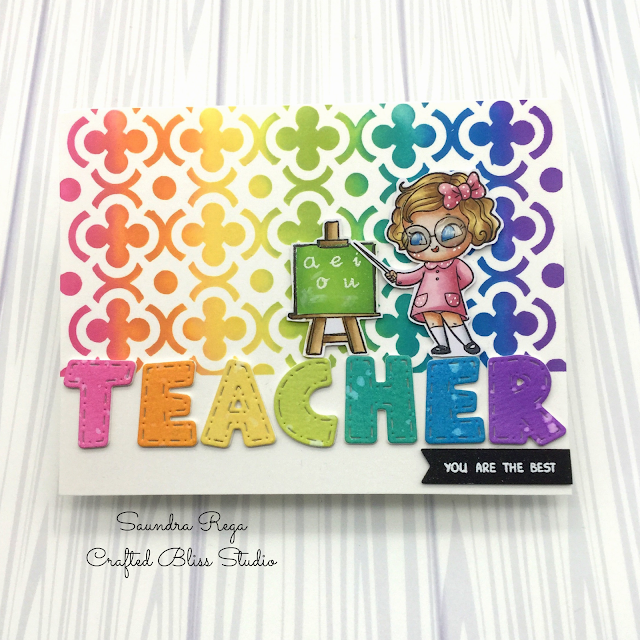 My sentiment comes from CDD All Aboard Stamps. I heat embossed it on black cardstock and cut it out with the speech bubble die from the CDD Mix It Up Dies. It was popped up with some foam tape. A few clear sequins finished off my card. There is still time to join us for prizes and more sneak peeks on Facebook. 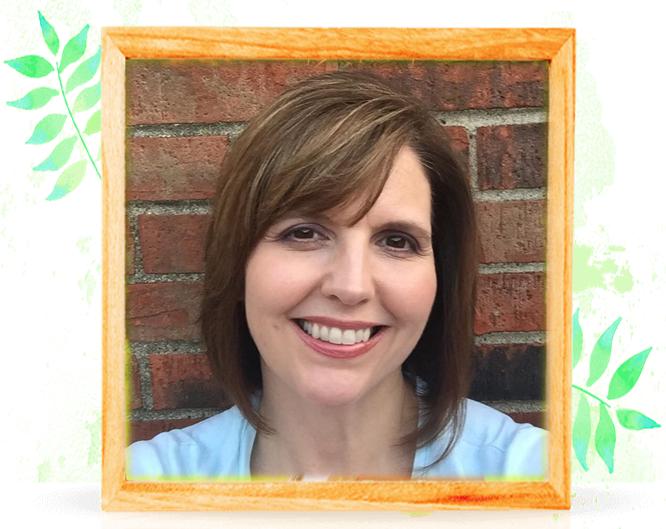 Click HERE to see what all the chatter is about!